 If Kenenisa Bekele is to be believed – and who wouldn’t? – come 08.30am Gulf time on Friday morning, January 20, he will be the world record holder for the marathon; which would mean that the 34 year old Ethiopian would be the only man in history to concurrently hold the world records for 5000 and 10,000 metres on the track, and 42.195 metres on the road. By its nature, a world record is not an easy thing to achieve, or even to predict. And most athletes are loath to venture such a forecast. 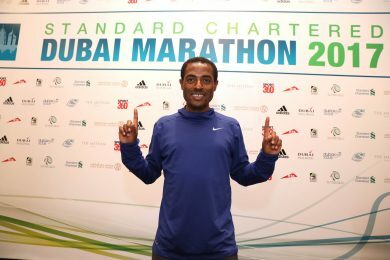 So when Bekele told the press conference for the 18th Standard Chartered Dubai Marathon here in the UAE this morning (Wednesday) that he was confident that he could beat 2.02.57 on Friday, there were more than a few raised eyebrows. Until three months ago it seemed as if Bekele’s latter-day marathon career was not going to match his earlier superlative efforts in cross-country and track running. But then, almost out of the blue, he not only beat former world record holder and Olympic medallist, Wilson Kipsang in the Berlin Marathon in October, he won in 2.03.03, just six seconds off the world record of Kipsang’s Kenyan colleague, Dennis Kimetto. So when you’re talking to a man who has also won three Olympic golds, 18 world titles on grass, tartan and tarmac, setting a handful of world records en route, you lower the eyebrows and listen in, intently. “The marathon needs a long time to develop, you need experience,” said Bekele, referring to a no more than adequate introduction to the longer distance, which saw his best time after four marathons (in addition to a DNF here in Dubai two years ago) as 2.05.04, from his debut in Paris 2014. “After two years, I feel that I am a marathoner now,” he continued. “This (Dubai) is a similar flat course to Berlin, and I think I can do better. I plan to run the world record. “Of course, it’s a race, so you can’t say for sure, and it depends on the conditions. But I was very disappointed not to finish here two years ago. My plan in Berlin was to run a fast time. I was focussed on a personal best and the Ethiopian record (2.03.59 by his illustrious predecessor, Haile Gebrselassie). Here, Dubai is a fast course, I’m planning to run the world record, and I’m confident”. Asked about the extent to which the combat with Kipsang in Berlin produced his fast time, he said, “He was more experienced than me, and he knew the course. He helped me a lot. Without him, maybe I would have run 2.04 or faster. But I can run fast without him”. His manager, Jos Hermens concurs. Hermens, a former world record himself, for 20,000 metres and the One Hour, said, “We only waited a little while after Berlin, to see how Kenenisa recovered, before we decided to come to Dubai. He is quite confident that he can break the record. He’s 34 now, he’s got to take every chance”. If he does take that chance, it should increase his bank balance considerably, by around half a million dollars. Billed as the world’s richest marathon, Dubai pays out $200,000 to the men’s and women’s winners; and Dubai Holdings, the national investment company adds a $250,000 bonus for a world record. And though Race Director, Peter Connerton boasts that he doesn’t pay appearance money, it’s hard to believe that a few bob hasn’t been added as incentive. Connerton is hopeful that his efforts, which have seen the race go from 120 contestants in its year 2000 inauguration to 30,000 participants (admittedly mostly in the 10k) this year, will finally see the imprimatur of a world record. “We’ve has some great races and super-fast times over the years,” he said, “particularly since the Standard Chartered sponsorship began 13 years ago; and everyone in the Dubai hierarchy, from the royal family to the Dubai Sport Council to Dubai Holdings have been involved; and Kenenisa’s friend and countryman, Haile Gebrselassie was foremost among them (with victories in 2008-10). But we’re hoping that Kenenisa can finally put the icing on the cake for us”. Bekele himself admits that he won’t be alone at the front, in particular his colleague, 2014 winner Tsegaye Mekonnen (2.04.32) is also expected to enjoy the impetus that the pacemakers will provide; another Ethiopian Dino Sefir (2.04.50) is also coming back to the form which took him to second here in 2012. He won in both Ottawa and Barcelona in 2016. In the early days of women’s official long distance running, Ingrid Kristiansen of Norway held the three records, 5000/10,000 metres and marathon, from 1986 to 1993. It is a measure of how much women’s distance running has moved on that Friday’s favourites and former high placers here in Dubai are not among the absolute world’s best, but have run faster than the Norwegian’s 2.21.06 in London 1985. But not by much! Shure Demissie has run 2.20.59, and her Ethiopian colleague, Meselech Melkamu has run 2.21.01. He would be the only man to concurrently hold records for the 5,000, 10,000 and marathon, not consecutively. Quite right, Michael; and me a former English teacher too! I have duly corrected it….. so no one will know…?